The most gripping, twisty psychological thriller of 2018 - for fans of IN THE DARK by Cara Hunter, THE RETREAT by Mark Edwards and THREE LITTLE LIES by Laura Marshall. If you like Clare Mackintosh, Fiona Barton, Teresa Driscoll, Jenny Blackhurst, Rachel Abbott, Laura Marshall, Joy Ellis, Cara Hunter, Mel Sherratt, Angela Marsons or Lisa Jewell then you will be utterly gripped by this psychological thriller with a massive twist you won't see coming. 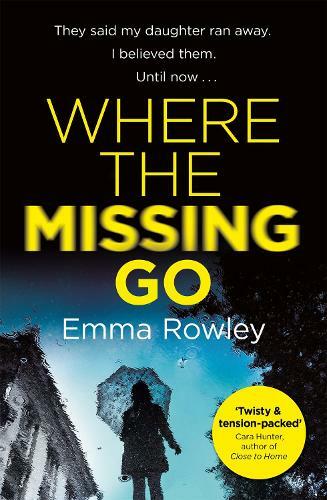 Well, if this is a debut novel, all I can say is watch out, all you domestic psychological thriller writers, because Emma Rowley has aced this one.